Festine Lente Estate Winery specializes in producing preium honey wines - MEAD! The words "Festina Lente" mean literally "Make Haste Slowly". This accurately reflects their philosophy of taking the time to accomplish things with diligence the first time and the pride that we take in simple things done well.Their farm is a 5-acre hobby farm situated in Langley, British Columbia's wine region. Teresa and her husband purchased the forested house and land without even a stick of fencing surrounding it in 2010. Little did they know that building our lives here would not only be the most physically demanding project we have ever done, but the most rewarding as well! Teresa began her career as a Trauma Nurse and Emergency Researcher and received special training to become one of the first Sexual Assault Nurse Examiners in BC. She returned to university to study Medieval and early English Literature at Simon Fraser University, where she went on to develop a love for historical fiction and the mead that was featured in it. She became involved in her community and eventually Municipal and Federal Politics, holding positions on Police Board, a Therapeutic Riding Association, and a Recovery House Advisory Panel before moving to Langley to begin working her hobby farm. 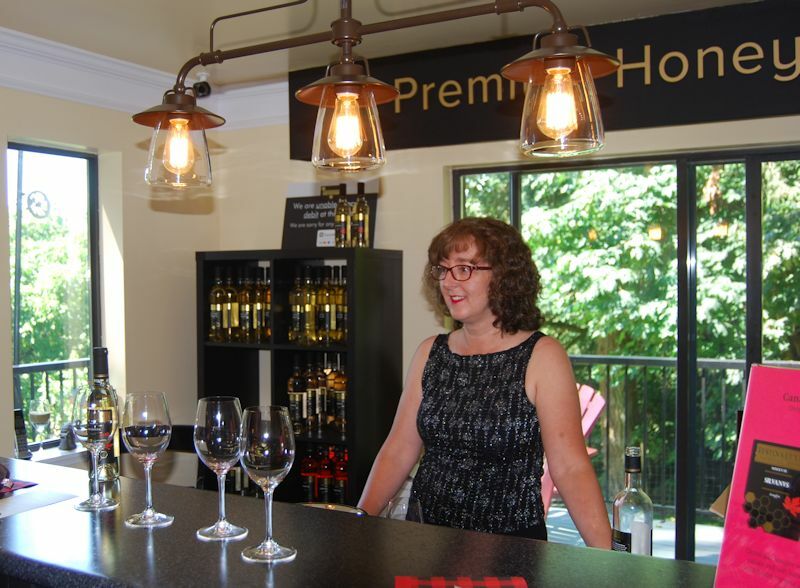 She is currently on the Board of Directors for both Tourism Langley and New Wave Wines, a BC wide quality assurance marketing board similar to VQA for non-standard varietals, fruit wine and mead. She is also an “Spirit of the Cranes” award recipient for excellence in Environmental Education. She is a musician, singer and has been a choir director for over 30 years. Her current instrument of choice is Bass Guitar. She lives with her husband Bill, her two university-aged children, two dogs, two cats, four horses and about 50 chickens. 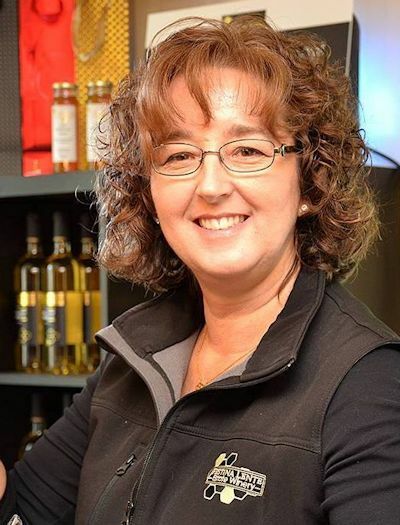 Teresa Townsley is the Chief Executive Officer and co-Founder of Festina Lente Estate Winery, a land-based winery specializing in premium honey wines (Mead). 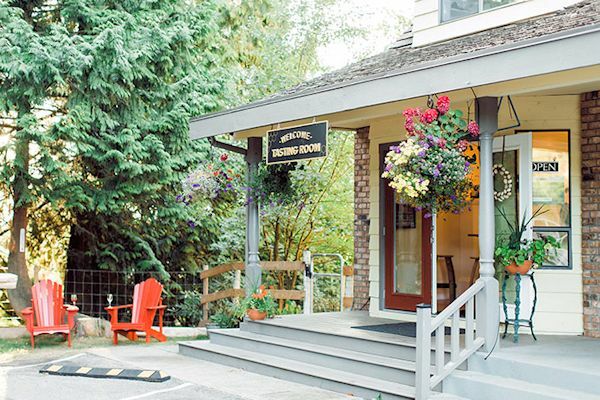 Located on 5 acres in sunny South Langley’s Campbell Valley, Teresa began her foray into culinary pairings in 2010 by creatively combining wine and her own produce into gourmet Jellies and Jams for sale to local markets. In 2016, she opened Festina Lente Winery combining her passion for sustainable agriculture and unique culinary experiences with her husband Bill’s expertise in apiculture. Drawing from a long family history in professional winemaking spanning several generations, they reinvented the ancient beverage of Mead to fit our modern drier palates and brought it from the stuff of legends to the sophisticated wine enthusiast’s table. Under Teresa’s careful stewardship, Festina Lente Estate Winery is poised to become British Columbia’s largest meadery and will be undergoing major expansions in the near future to keep up with rapidly increasing demand for their products.